Roy Lee Grable, 82, of Uniontown, Ohio, passed away August 15, 2018. Born June 20, 1936 in Uniontown, Ohio, he was the son of the late Lloyd Grable and Dawn Krichbaum Grable. A loving husband, father, and grandfather, Lee had been a long time member of the Canton Grace Brethren Church and was a long time realtor of the Uniontown and Hartville areas. Lee is survived by his wife of 58 years, Beverly Grable of Uniontown, Ohio; daughter, Wendy Grable of Uniontown, Ohio; son, Timothy (Terri) Grable of Nashville, Tennessee; two granddaughters; two grandsons; sister, Rebecca (Robert) Baughman; brother, Frank (Carole) Grable; and several nieces and nephews. Family and friends are welcome to visit, Saturday from 10-10:45 a.m., Hecker-Patron Funeral Home, 13151 Cleveland Avenue, NW, Uniontown, Ohio, where the service for Lee will begin at 11 a.m. on Saturday. Pastor Joseph Cosentino will officiate. Interment will follow at Greenlawn Cemetery, Uniontown, Ohio. In lieu of flowers, memorial contributions may be made to: Canton Grace Brethren Church, 6283 Market Avenue, N., Canton, Ohio 44721 or Refuge of Hope of Stark County 1167, 405 3rd Street, NW, Canton, Ohio 44702. 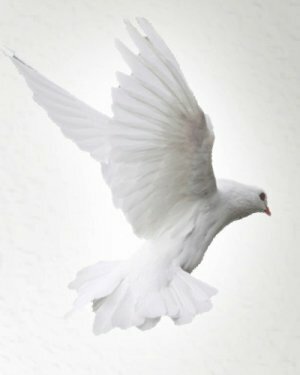 Those wishing to share their prayers, memories, or condolences, please visit: hecker-patronfuneralhome.com.